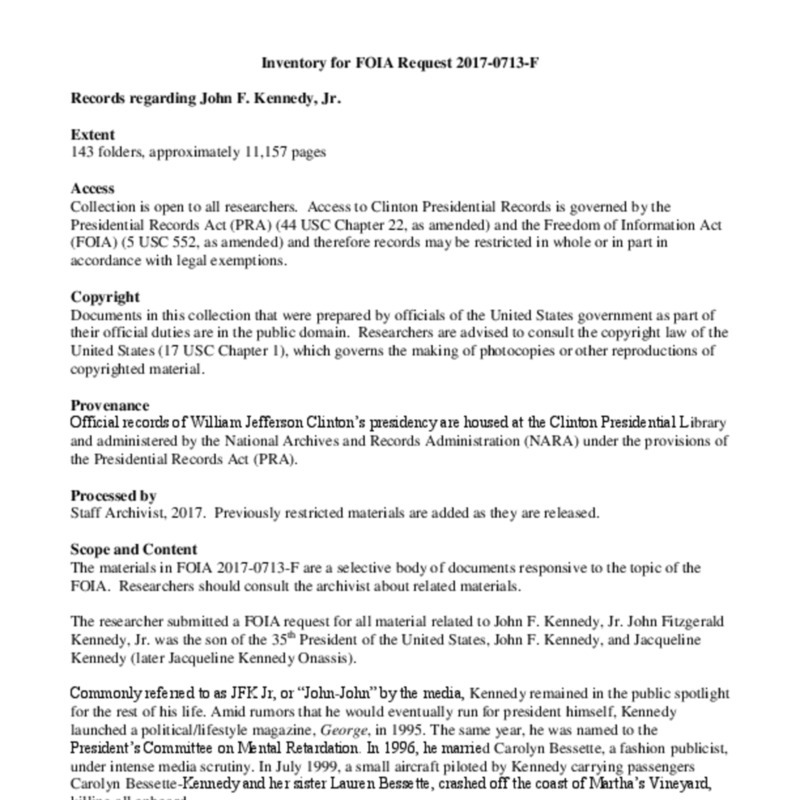 This collection consists of Clinton presidential records related to John F. Kennedy, Jr. Though the records date from 1993-1999, they majority of this collection revolves around the 1999 plane crash that killed John F. Kennedy, Jr.; his wife, Carolyn Bessette Kennedy; and her sister, Lauren Bessette. It contains hand-edited speech and statement drafts, head of state correspondence, press releases, emails, news articles, letters, correspondence, memoranda, and schedules.